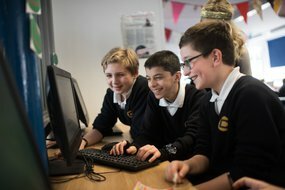 To tie in with the launch of our Parliamentary Commission on Fake News and the Teaching of Critical Literacy Skills in Schools and the opening of the pupil and teacher surveys (which have now closed), we published some free resources for you to use in the classroom with 8-16-year-olds. The resources include the news stories in the pupil surveys and provide the answers as to whether they are real or fake stories, along with prompts in the notes section to engage your pupils in discussion. These can be used alongside the ‘top tips’ handout to help your pupils question the stories as you go through them. The 'Introduction to fake news' resource contains lots of ideas of how to embed critical literacy skills within your classroom. More resources on fake news and critical literacy will be released in 2018.